Before you start your beta test, you must understand the difference between technical and marketing beta tests to be able to plan your beta test accordingly. These two types of beta tests have completely different goals and requirements and if you do not take their needs into account it can seriously affect your beta test results. The marketing beta is criticized by some for not being a “true beta” and not generating good results on the technical side of bugs and crashes. And this can be true when the beta test plan does not balance and transition between the technical beta and the marketing beta. Done correctly, however, marketing and technical betas can be combined to maximize the benefits of your beta test. Now, we’ll take a closer look at the goals and requirements of both types of beta testing and the difference between them. Bugs and Crashes: The most common purpose for beta testing is finding and fixing the bugs and crashes that slipped through QA testing. Squashing these bugs and crashes is a fundamental goal for beta testing. App Performance: Besides the bugs and crashes, beta tests show you how well your app is performing. You can track metrics like your app’s loading times and find areas that need to be optimized. Environments: This is a good time to make sure your app plays nice with all the different devices and environments out there. Start with the major devices and include less common ones as you scale. 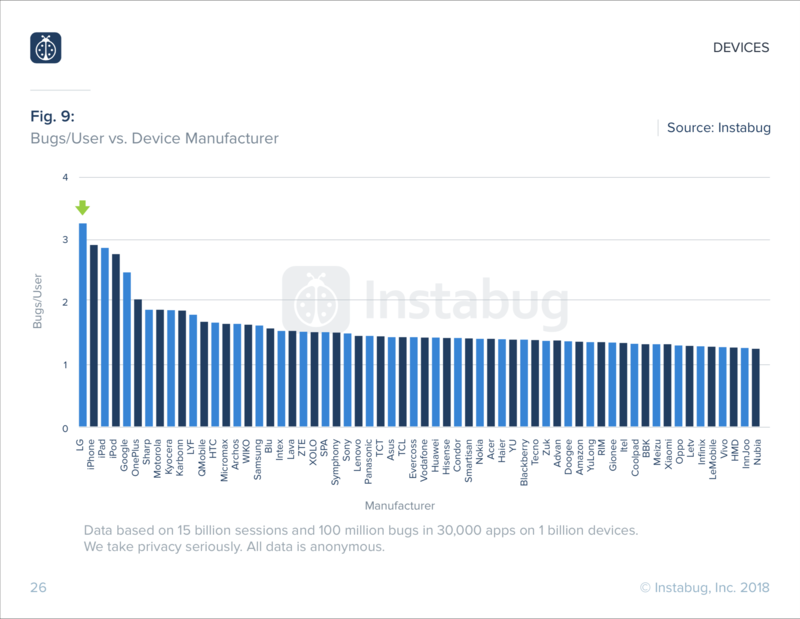 The most common mobile devices where Instabug is installed, normalized by number of users. Infrastructure: Technical beta tests evaluate the performance of your infrastructure and backend in a live scenario. This is very important to avoid the common issues that occur with scaling after launch. Usability: One of the less common goals, technical beta tests try to uncover any basic usability issues with your app. This makes sure you have a smooth UI experience that makes features easy to find. Feature Requests: Finally, technical betas collects feature requests from your testers to inform your product roadmap. This makes sure that your app development is aligned with your users’ needs and focus your energy on the features that matter most. Ideally, testers for this phase are more tech-savvy than the average user and provide more detailed bug reports and general feedback. Crowdtesters can be used to ensure the required knowledge and experience, but generally, beta testers you recruit are a better representative of your users. Technical betas also do not need a big number of testers to achieve good results; as the number of testers grows, so does duplicate feedback and unique issues become uncommon after 50-100 testers. However, this number increases as the number of devices and environments your app will run on increases and you should select testers with a variety of different configurations. Reviews and Testimonials: You can use the beta phase to solicit reviews and collect testimonials that you can use for the launch of your app. Reviews are one of the first things users consider before downloading an app and getting a head start can give a boost to your acquisition. Early Adopters and Evangelists: Early adopters are the seed upon which you will build your user base and can turn into evangelists for your product. They can promote your app through word of mouth and create a buzz around it. Marketing Message and Channels: Beta tests are a great time to test your message and acquisition channels and see what kind of conversion rates they generate. You can also use this opportunity to A/B test your marketing message and optimize it for launch time. Audience and Segments: Ideally, your beta tester community is representative of your app’s audience and target market and how they will use the app. You can use the data you collect about your testers to segment your users according to demographics and usage to gain a deeper understanding of how they use your app. Moreover, you can use these segments in your campaigns to target each one with a tailored message to improve results. Marketing betas are not picky about their testers as long as they are active and fall under the app’s target market. They are less concerned with finding bugs and generating bug reports and more focused on monitoring how users interact with the app and what they think about it. In this case, the more data available for analysis, the easier it is to identify patterns and reveal insights. This is why, for marketing betas, the more testers participating in the test, the better its results are going to be. This is especially true if you are planning to run A/B tests, which need to include at least around 50 testers each to be statistically significant. Technical beta testing is the classical approach to beta testing and its benefits are well known. They can uncover the hidden bugs and crashes in your code and make sure your app functions seamlessly on a wide range of devices and environments. With this level of polish, your app will not be abandoned on first use because of a bug or crash and your retention rates will improve. Additionally, they allow you to test your infrastructure and backend to make sure your app is ready to go live. On the other hand, marketing betas help you understand your audience and how they interact with your app while giving you a head start on user acquisition and building a user base. Furthermore, marketing betas allow your marketing team to test their marketing strategy and messaging and identify the most effective channels to reach users. Your marketing approach can then be tailored for each segment according to the use cases and feedback you collected about them throughout the test. To make sure that the technical and marketing goals of your beta do not interfere with each other, it is best to conduct your beta test over several stages. Start out with dogfooding internally if possible then move to a small closed beta test with a pool of handpicked technical beta testers to help you get rid of the major issues. 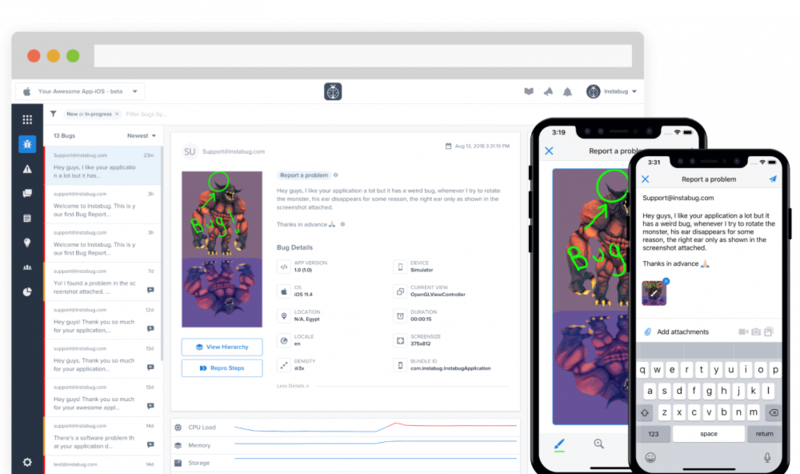 Once the frequency of bug reports goes down, you can gradually add more testers to your closed beta testing phase to test the app on more diverse environments and begin collecting qualitative feedback. When you stop receiving technical feedback and become confident in the quality of your app, it is time to open your beta test for everyone to join. To avoid overwhelming your servers and your team, you might want to set a maximum number of testers for your open beta testing phase. You can then increase this cap gradually as the test progresses, or remove it altogether if you feel that you are ready for the public.